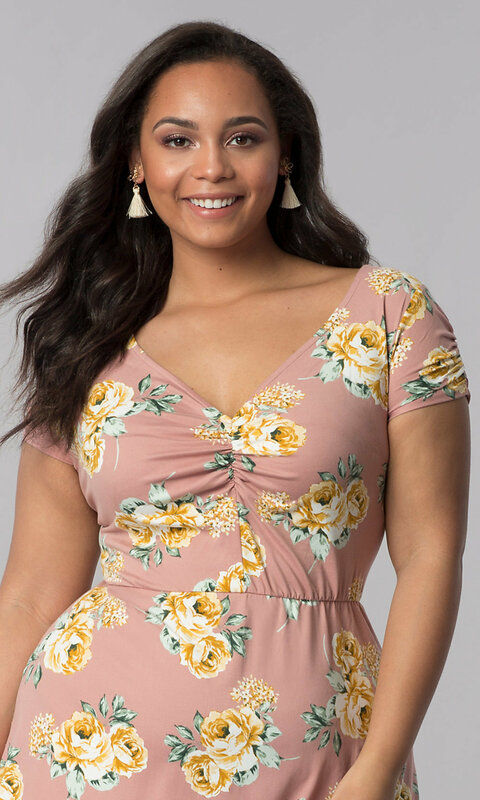 Here's a cute plus-size floral-print party dress by the designers at As U Wish that is perfect for family celebrations and casual outdoor weddings. 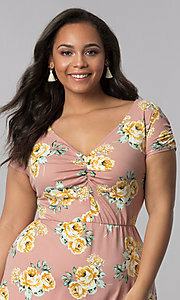 In feminine mauve pink, this easy-to-wear jersey summer dress has a complementary mustard yellow rose print from the v-neck bodice to the hemline of the short flared skirt. 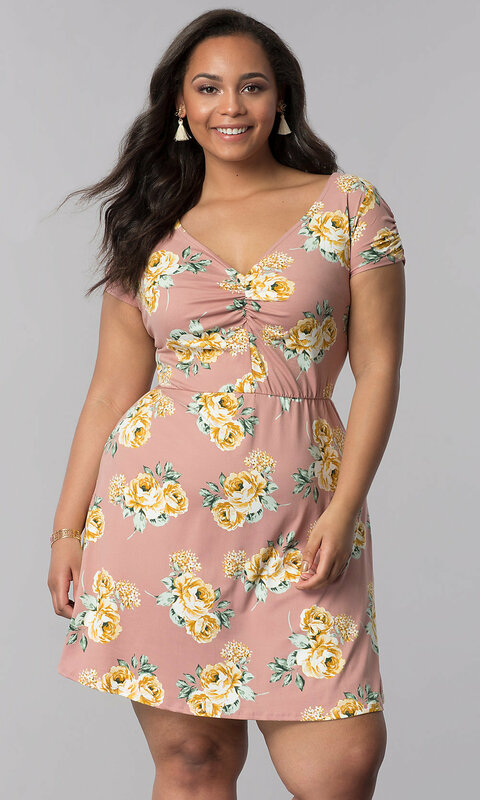 Ruching graces the bustline and short sleeves of the mauve pink print dress. Look great at casual and semi-formal events in this plus-size floral-print party dress, under $50, that is cost effective as well as versatile.